Let’s say it’s Sunday morning and you’re headed out the door for church. What’s going through your mind? Do you have everything you need? Question: If you brought your smartphone to church, how many items could you eliminate off your list? Answer: Probably all of them… except your purse. However, your purse is pretty much just there to hold your Bible, pen, notebook, and checkbook anyway, so let’s just go ahead and eliminate that too. Men, we’ll let you keep your wallet. So now you’re sitting in church and all you have is your smartphone, and maybe a bulletin. How are all those items that everyone else is carrying covered by bringing just your smartphone? 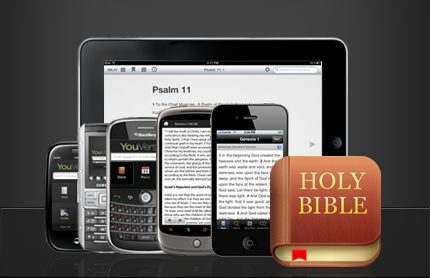 YouVersion and Bible.is are great examples of Bible apps that are ready to be downloaded on your smartphone. 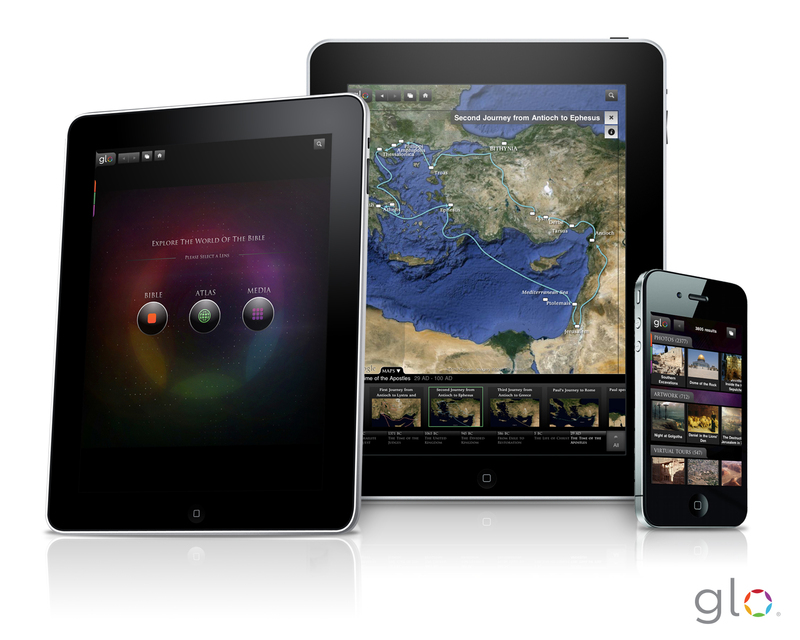 Personally, I’m a fan of YouVersion because I can access all my notes, bookmarks, reading plans, and more on my smartphone, laptop computer and tablet. What’s really neat is YouVersion Live, which allows you to: “interact with church services and other live events using your mobile device. You can follow along with message outlines and take notes, read related Bible verses and click through to the expanded passage, vote on a poll and see the results live, ask questions anonymously, give, request prayer, and take it all home with you on your phone. It works with any web-enabled phone, as well as any computer with an internet connection.” Find out more about Live Events with YouVersion here. Why do you take a pen to church? To underline passages that stand out, or to make notes? Well, your phone can do that. Again, with apps like YouVersion or a remember-everything app like Evernote, you can make all the notes you want. In YouVersion, you can make public or private notes. When following along with a particular passage that you want to remember, just tap your finger on the verse(s) and a simple menu will apear, giving you options like: highlight, bookmark, share, notes, or copy. Evernote will keep an organized list of notes, images, links, or whatever you come across that you want to save. Later, you can search and find exactly what you’re looking for in all your notes. We really just covered this in #2, but seriously, your smartphone is also your notebook. In both YouVersion and Evernote, your notes are kept up-to-date across all of your computers, phones and web-enabled devices. Share your notes with all your friends and family, or just keep them to yourself. Make all the notes you want from your smartphone, and then come back and easily find them later on your laptop. Evernote is actually the tool I’m using to write this blog post! Can your Moleskin do all that? If you tithe, you probably bring a check to church. Well, to eliminate that, there are a few options for you. First, if your church has it’s own app, then you can tithe directly on the app– and yes, churches have apps, we’ve made over 400 of them in the past year. If your church does not have an app with tithing capabilities, then whoever you bank with most likely has an app. Just send the money directly to your church from your banking account app with a few clicks. No paper, no pens, no purses. No forgetting something at home, no making up for it the next week, no missing the offering bucket, just bing, bam, done. Connecting with people at church is something we already do, but not something we always follow through on, especially once Monday starts. It’s easy to say, “let’s grab lunch sometime”, or “we should set up a play-date for the kids!” But without your cell phone, follow through can be sparse. Through a simple text or email from smartphone to smartphone, you can send and receive someone’s vCard information, which usually includes their name, cellphone number, and email address. Then, with Google Calendar, check your availability and add an event to meet up with them. Let Google Calendar send you a reminder when the time is approaching the set date. It’s that easy! Yes I use mine all the time. Matter fact I started carrying my iPad to church about 4 years ago to help teens who were getting yelled at for using their iPhones. Figured with an adult or even better their youth minister using one all the time the adults would see that and at least back off the students. Now we see adults coming in with their smartphones or tablets and taking note who used to never take notes. To bad we are still behind in using youversion live. It was something I wanted to do but we all have good intentions don’t we. Maybe next week?! ?